...continued the taco party by having Jeff's sister and her roommate over for rooftop hangs and these awesome black bean tacos that we obviously added chorizo to because we're all red-blooded meat eaters. But really, those tacos would probably still be awesome without the meat. Not that I'm ever going to try them that way. ...met up with my sister and her daughter to go to the Shedd Aquarium! Hanging with a two year old whose favorite song is "Baby Beluga" meant that we spent a whole lot of time at the beluga tank, but it was also really cool to touch the sting rays! ...saw this new cut of dress pants from Banana Republic (which basically seem like fancy leggings - are they just fancy leggings?!) and had to order a pair to try - I'll let you know what I think!! ...had a little date night at home with some of our wine we brought back from Napa, a couple of steaks on the grill, and another episode of Kimmy Schmidt. No, we still haven't finished the latest season, and frankly, I'm really embarrassed by our lack of dedication. It's funny, the longer the show goes on the less I like Kimmy, but the more I like Titus and Jaqueline! Anyone else?? When we were in Napa over the weekend, our itinerary for the trip was pretty chill. We wanted to taste a lot of wine, eat a lot of good food, and spend some time at the pool. Check, check, and check! After a full day of wine tastings in the hot sun (don't worry, we had a driver!) all I wanted to do was jump in the pool and then find something fast and easy to eat. It turned out that everyone at our hotel seemed to have the same idea as us - the pool was hopping! Does it prove just how uncool I am that I just used the word "hopping??" But really though, it was (almost) like being in Vegas, except with lots of wine instead of the giant frozen beverages. After pool time, we quickly hopped in the shower and then headed off to Redd Wood in downtown Yountville for a couple of pizzas. Because is it really vacation if you don't eat a pizza? Our dinners the other nights were pretty fancy, so it was nice after a full down to relax and do something low-key (or at least as low-key as you can get in Yountville!). 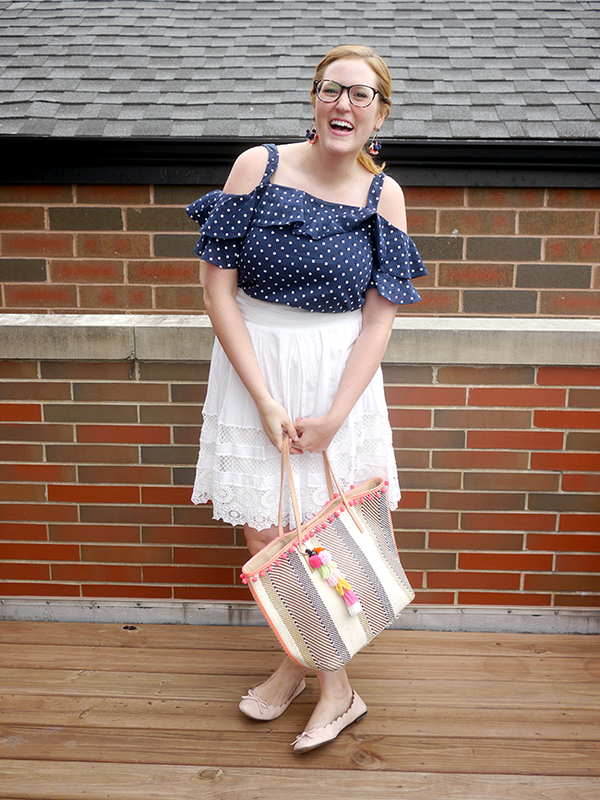 I snagged this stop last summer, and while it sold out super fast there's actually a pretty similar top currently available from Old Navy! I actually checked it out yesterday when I was doing some returns and it's super cute in person (and on sale for less than $25). 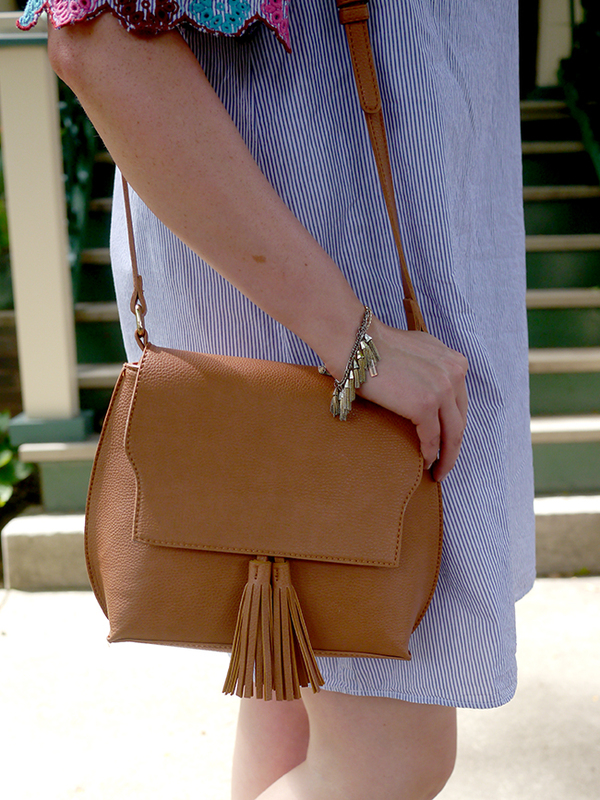 Pair it with some white shorts and you're set for the rest of summer. Oh hey there! In case you somehow didn't hear, Jeff and I just spent a long weekend in Napa!! We went for the first time last fall when I had to go for work and told Jeff he would be meeting me out there, not realizing I was going to be making him get on a plane the day after the Cubs won the World Series - I think it was a bit of a rough flight for him ;) But while we were out there, I told him in no uncertain terms that we would be making many trips back. It's so beautiful, the weather is gorgeous, and you get all of the relaxation of a trip to the country but with lots and lots of wine! 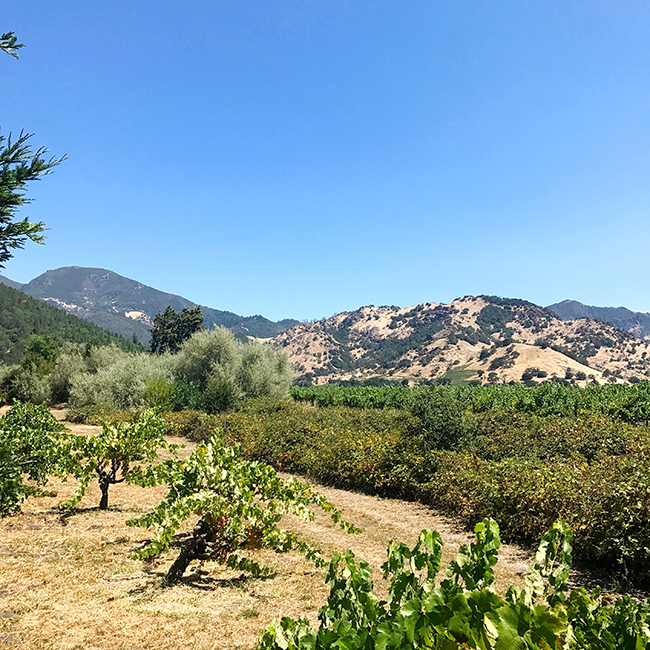 This trip was somehow even better than the last time for a couple of reasons, the first being that we decided to stay in Yountville, a little town just north of Napa. Last time we stayed at Carneros Resort and Spa, which is absolutely gorgeous and has the cutest little individual cabins for each room. But, BUT, there's nothing around there because it's in the middle of the countryside. There are a couple of restaurants on site, but you have to drive to get to everything else. As city kids, Jeff and I really love being able to walk to stuff, so this time we decided to stay at Villagio Inn and Spa instead. Between the unlimited complimentary mimosas with breakfast and the poolside bar, this was a bit more of a party atmosphere than I expected (although it was really quiet Sunday night and Monday) but also really fun. 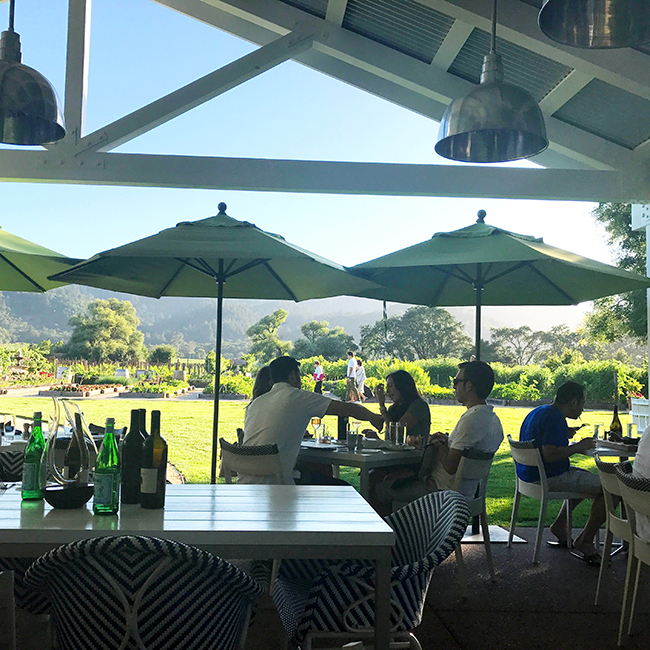 Plus, every good restaurant in Yountville (which is basically made up of all good restaurants) is easily walkable, as well as a couple of tasting rooms and even Domaine Chandon! We ended up doing another tour with Platypus Wine Tour, which sets you up with a group of a dozen people and a driver to take you around to a bunch of different small, family-owned wineries. This time our favorite stop was Benessere, where the owners decided to rip out all of the old vines (gasp!) and plant clippings from Italy, so they have a bit of a different selection than other places in Napa. The tour is always really fun, and we'll probably do it when we go back again! We also loved checking out Ma(i)sonry, a tasting room in Yountville that specializes in unique bottles from small wineries across Napa Valley. Our server was really knowledgeable and let us taste more wines and fancier wines than we were supposed to, the patio is absolutely beautiful, and they even had one of the wine makers for a wine I was tasting on site to come over and say hello! We wanted to bring home a bunch of bottles from here but had to hold ourselves back - everything was so good! One of my favorite things that we did though was decide to go to Bennett Lane, where we're members, and bring a bunch of food to lounge out on their patio for a few hours. Since we're members they kept pouring tastes for us long after our tasting was supposed to have ended, and even brought us some fresh berries from their garden to sample. It was so relaxing and beautiful - I wish we could have stayed all day! Oh, and Jeff set me to the task of finding him a great Italian sandwich to bring with us, and the Google box sent us to W F Giugni & Sons, and omg you guys - so, so good. I don't know when else I've had such a good sandwich, besides, of course, in Florence! 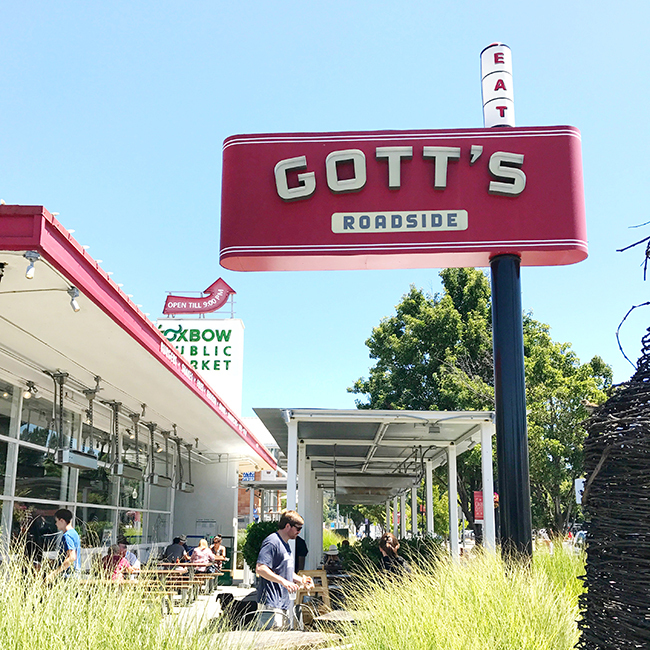 Oh, and I'd be remiss if I didn't mention our stop to Gott's Roadside! We were absolutely starving considering we'd eaten breakfast at about three in the morning Pacific time, and didn't get to the Napa area until noon, so a big burger (and a glass of wine of course) were in order! I don't know if it's because I was so hungry I was actually shaking, but this was one of the best burgers I've ever had. We actually stopped at Gott's last time we were in Napa but were trying to be healthy so we just sampled the salads. The salads are good, but definitely, definitely try the burger! So, I know the question you may be asking yourself. "Didn't she just share this top last week?" But what's new? My glasses! I actually had an acute allergic reaction (according to the old eyedoctor, because I'm a hypochondriac and had to get a little redness checked out) a week or two ago, and was confined to glasses for a few days. 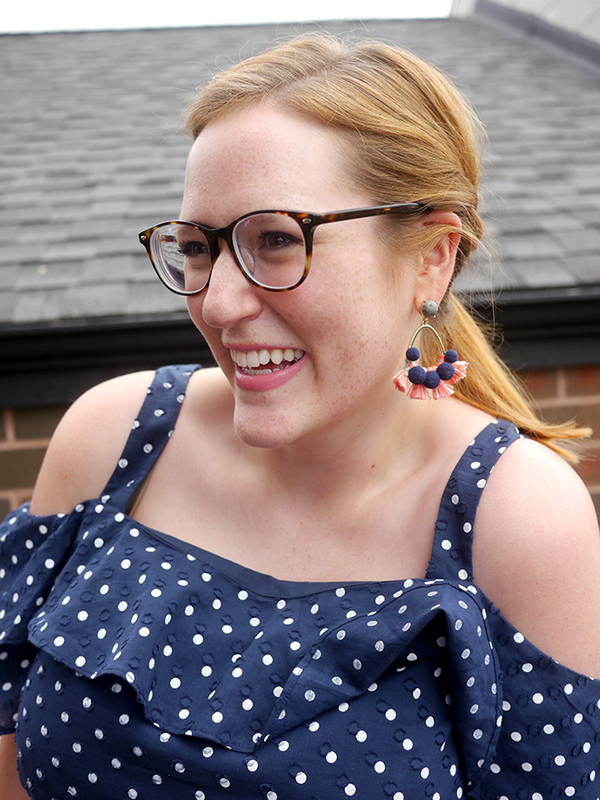 Luckily, these couple of days coincided when I got these cute glasses from GlassesShop.com in the mail! 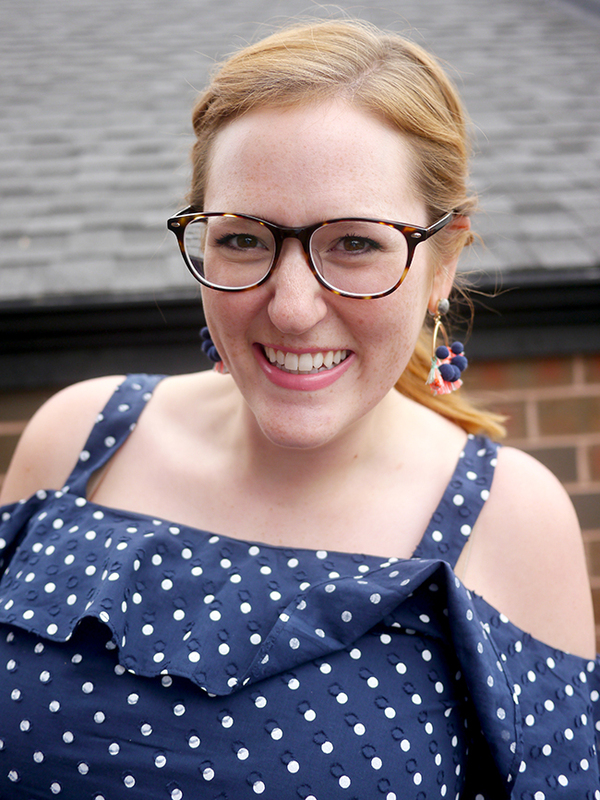 They made it super easy to order glasses online, and you can even upload your photo to see what your new glasses will look like on your face before you order them. 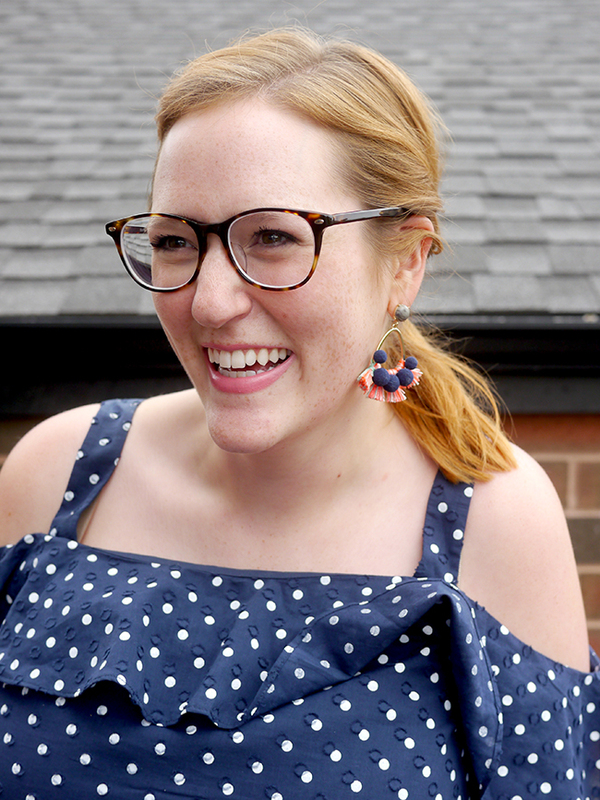 I actually hadn't gotten new glasses in years, so it's fun having a new pair in rotation to mix things up a little. If you're looking to order some new eyeglasses or even prescription sunglasses, then today's your lucky day! GlassesShop.com is currently offering KDTI readers 50% off eyeglasses or sunglasses frames with free lenses (sales frames excluded) with the code GSHOT50. Happy Monday! Or, at least it's a happy Monday for me, since we're still out in Napa!! Instead of what I've been up to, here are a few picks for the guys from the Nordstrom Anniversary Sale. 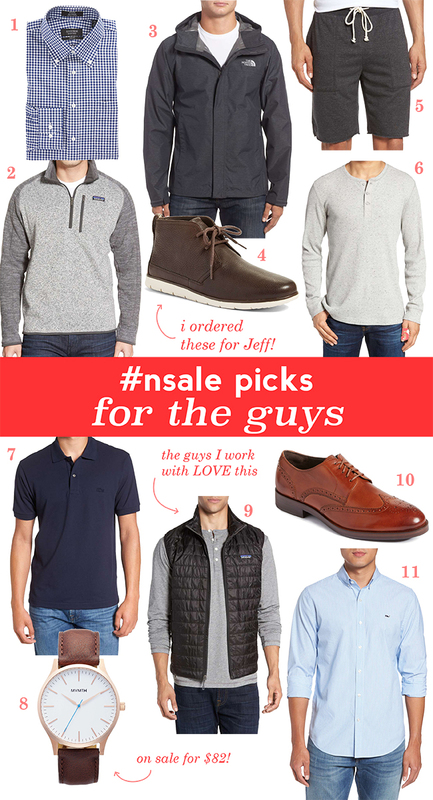 I've never shopped for Jeff in the #nsale before, and I don't know why. He wears designer jeans and fancy shoes, and all of his sweatshirts are Northfaces or Patagonias. His wardrobe is more expensive than mine! That's partially because he refuses to shop and will wear whatever Trunk Club sends him, and partially because he refuses to shop so whenever he buys something it had better be a quality item that he can wear for years. 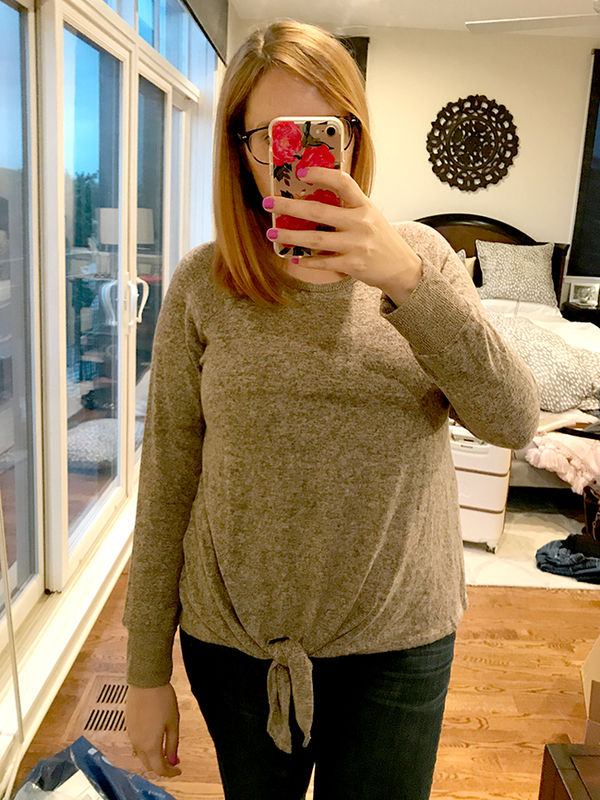 I grabbed his favorite jeans to look them up, and discovered they're currently $60 off during the sale! I also snagged him another pair of chukka boots since they're his current favorite, and a Patagonia Better Sweater because they're such a steal right now. Some other favorites? This Patagonia vest. Funny story, my company gave these out (with little company logos of course) to my department this winter, and the guys went nuts over them. They still trove the office looking for extras and keep trying to bribe me for them, thinking, for some reason, that I know where the secret stash is. I keep offering them mine (because what use do I have for a branded, manly vest?) but it's actually a women's size and is cut a little closer than they would like ;) Besides the vest, I'm also loving all the classic basics for guys that are available at great prices, like polos, gingham shirts, and oxfords. 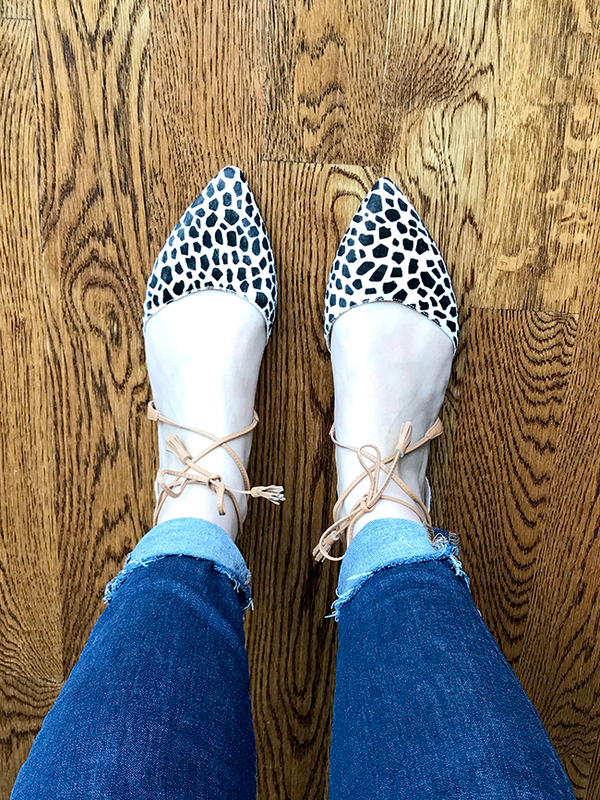 Nordstrom Anniversary Sale Open to the Public + Reviews! You guys, today the Nordstrom Anniversary Sale finally opens to the public! Which means, and I'm sorry, that you're probably being inundated by #nsale stuff again today - sorry! 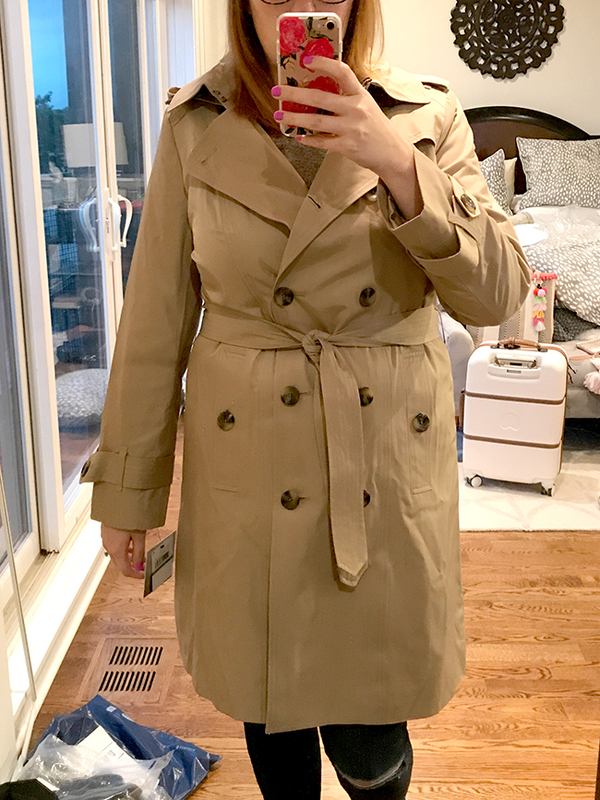 I just wanted to pop in and share some reviews on the stuff I've gotten so far, as well as share my clothing picks that are still available. I've been loving oversized tees lately, so this tunic was a no-brainer. 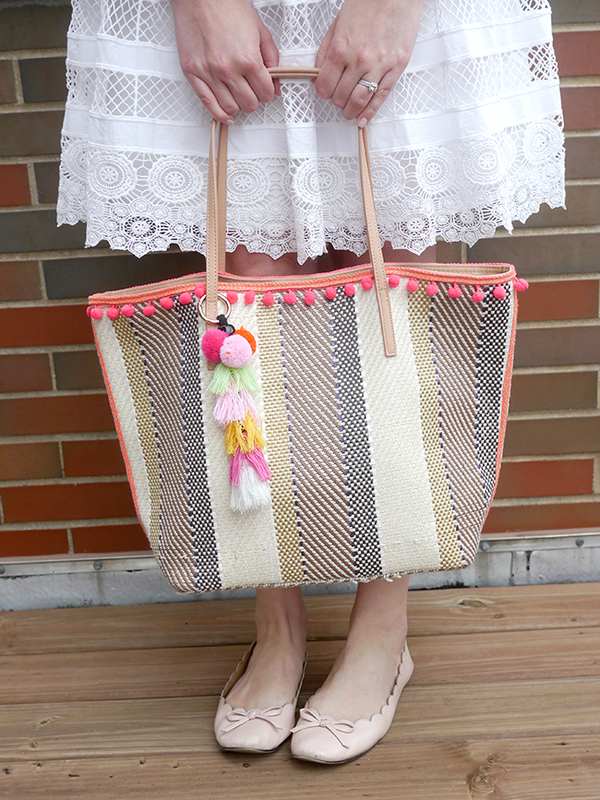 It's sold out in stripe (but maybe it'll restock? Cross your fingers!) but the fabric is really comfortable, and I love the tulip hem. 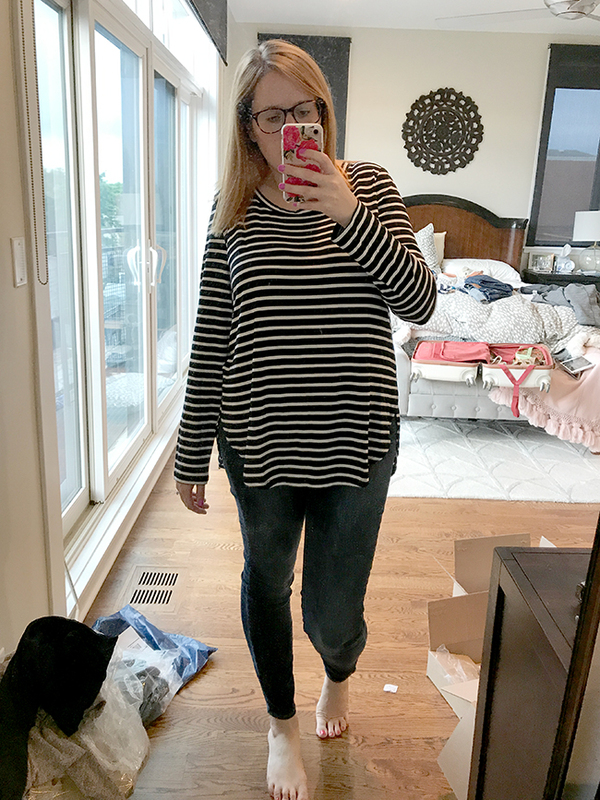 I'm wearing an XL here which is a little oversized, I definitely could have gone for L.
These jeans are super stretchy, are built for someone who is bigger through the waist, are long enough for my super long legs, and didn't stretch out through a full days wear. Definitely keepers. This jacket is probably my favorite thing that I snagged during the sale. 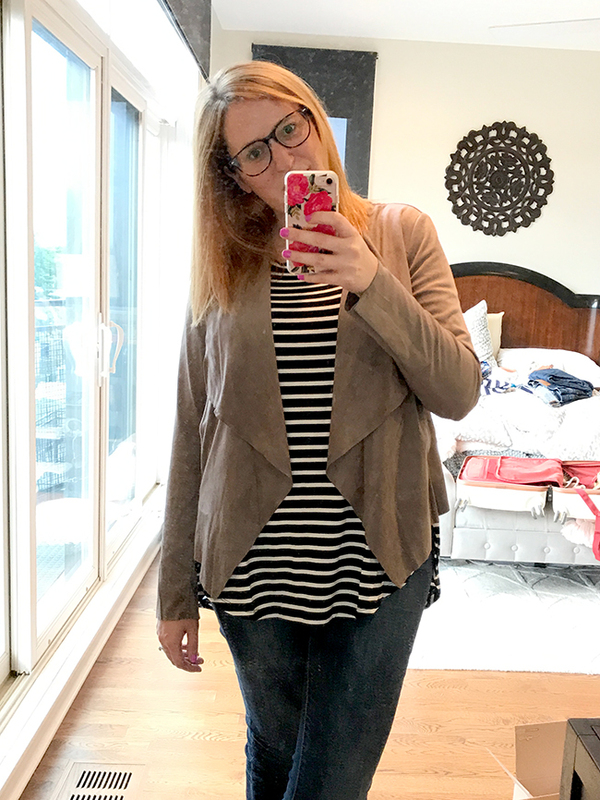 It's made out of this super soft faux suede that also has some stretch to it, and feels more like you're wearing a cardigan than anything else. The structure through the back of the jacket though makes it really flattering. I can see myself wearing this to work all fall instead of sweaters. I'm wearing an XL here which is perfect. It also comes in a pretty plum color and is still available in regular and petite sizes. 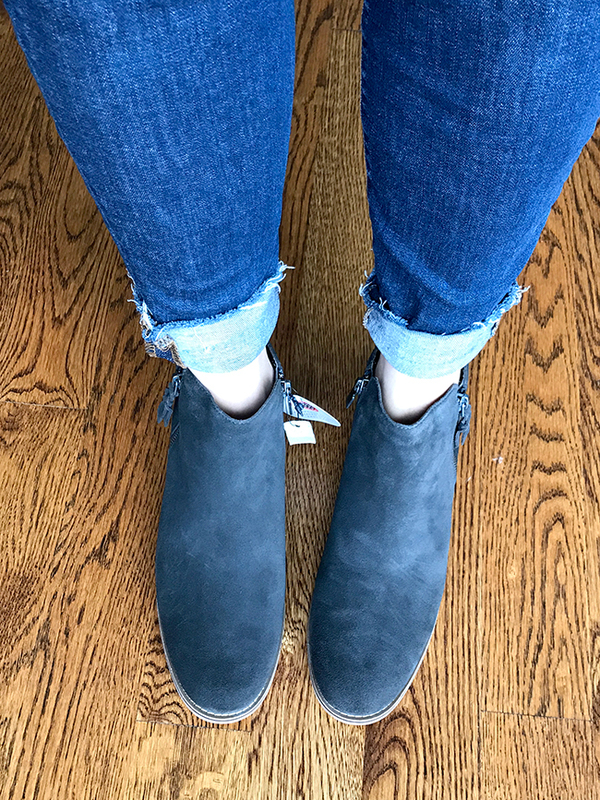 I get so sick of wearing the same boots over and over each winter (ahem, and fall... and spring... stupid Chicago) so another pair was definitely on my wish list. These are actually waterproof which means I'll be able to wear them all winter!! I'm not sure how exactly that works with suede but I'm not going to question it that much. The footbed itself is really comfortable but I can feel a tiny bit of rubbing around the ankles - I'm going to wear these around the house a little more before I decide whether I'm keeping them or not. Keep in mind that I'm super picky when it comes to footwear so they probably won't bother you! Fit is TTS. 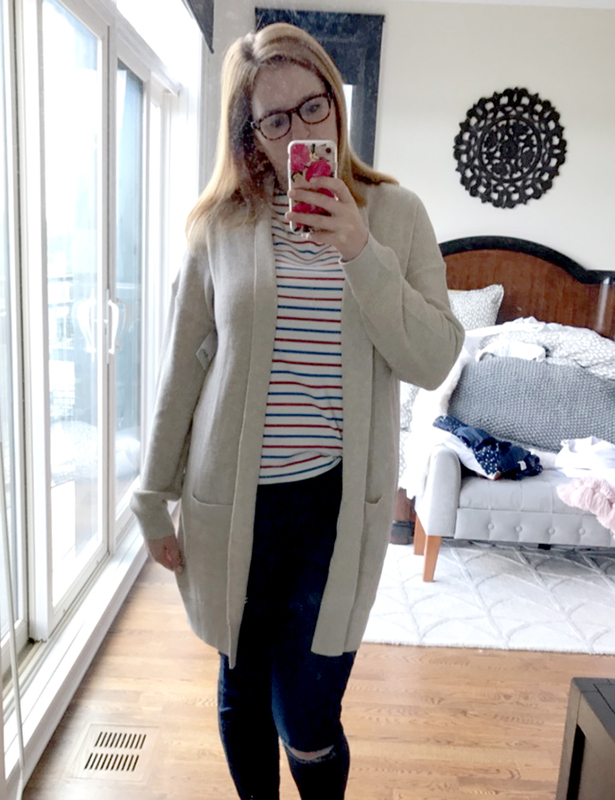 I really thought I would love this cardigan, but it is so going back. The drop shoulders + weird collar + cheapo fabric combine to make it look sloppy. Plus I remembered I own a basically identical (but much cuter) cardi! These fit true to size and are super cute. I love the calf hair and the ankle wrap. They're surprisingly comfortable. However, I'm going to wait and see on how my budget is doing this month before I decide I'm really keeping them or not. No matter how cute they are, they aren't going to get nearly as much wear as those booties above, so they're a lower priority item for me. I had convinced myself I was going to keep this sweater. The fabric is so soft, it feels like you're wearing pajamas, and I love the tie front. But, when I tried it back on again to take this picture the fact that the sleeves are too short for me is glaringly obvious, and they were super annoying to me. So I guess it's going back :( If you have arms that are a normal length though, definitely go for it - it's still available in lots of colors and sizes! 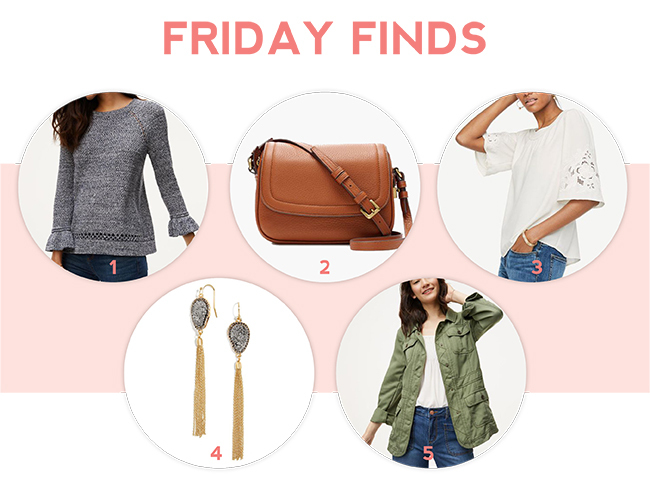 So now that we're done with what I've tried on at home, here's a look at some of my favorites that are still available! Oh hey there! I'm in the middle of a really busy week over here - between a lot of lady dates and saying goodbye to my brother and his wifey (they flew back to South Korea yesterday - waaaaah!!) and having things ramp up at work, it's been non-stop. Luckily we're taking a little break - tomorrow Jeff and I are flying out to Napa!! And for some reason we decided a 7am flight was a good idea :/ The good news is that puts us in California by 9:30 am, and to all of the wine by lunchtime! I really can't wait. Most of our trips together have been busy, hopping around cities, or super lazy where we just go to a beach. 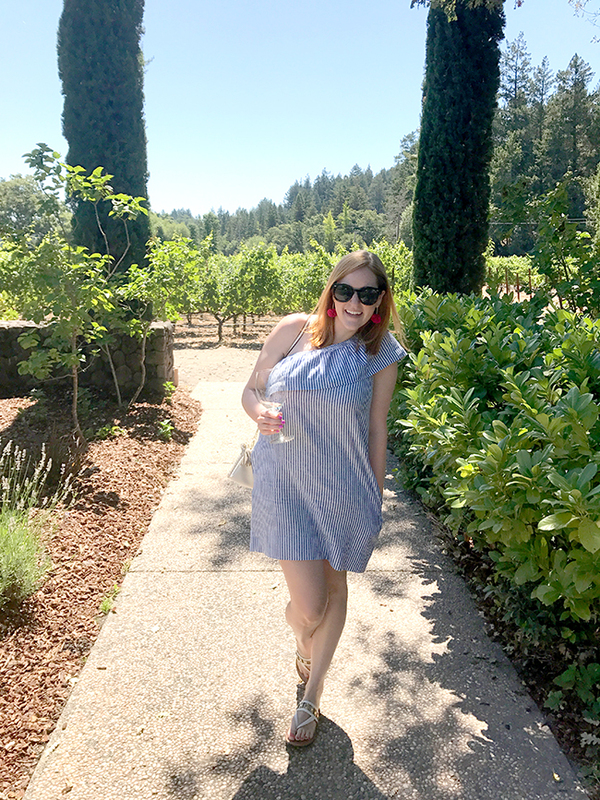 I freaking loved Napa when we went last fall though - it has the slow, relaxed vibe of a beach vacation, yet you're still running around doing something almost the whole time. Plus, you know, wine. It's supposed to be about 95 degrees the whole time we're there, and you'd better believe that this dress will be in my suitcase! 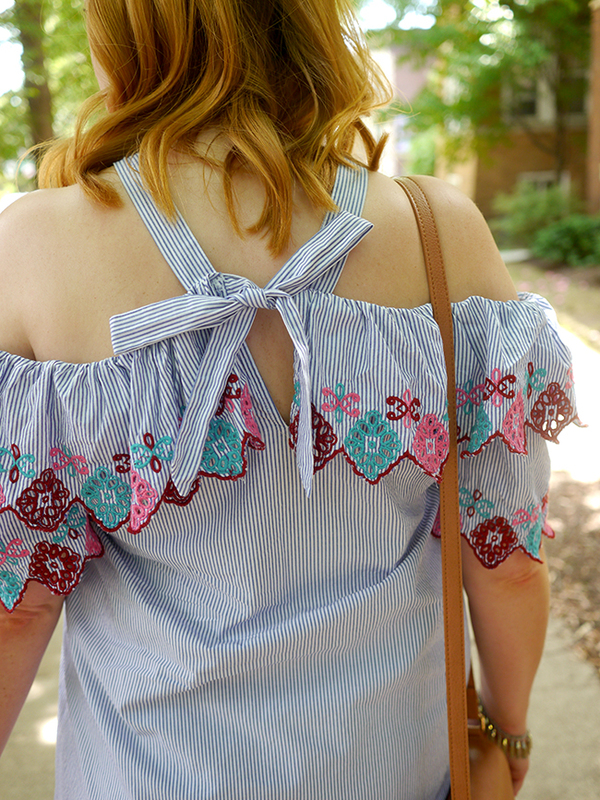 It's loose and breezy, perfect for the hot weather, but still cute with all of the details like the embroidery and the bow in the back. It actually is supposed to be belted, but I made the executive decision to cut off the belt loops because it looks so much better as a shift. I probably should have done that when I wasn't wearing it, but I didn't actually manage to stab myself so we're still all good. Oh, and don't worry your little head while I'm gone, I'm scheduling out some posts and you can follow along on Instagram! See y'all soon!! 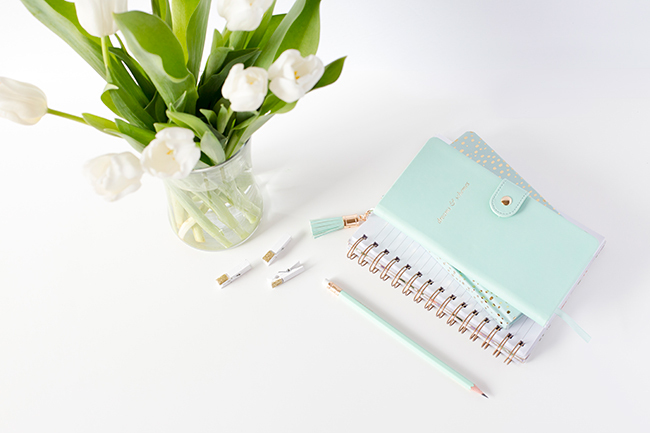 Linking up with Style Sessions, Trend Spin Linkup.